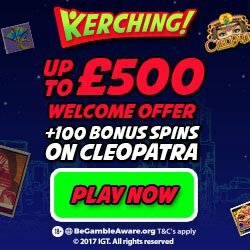 The thrill of playing off a base game spin on any bonus game or bonus feature awarding slot is always going to be exciting, for on any spin you do play off you will have the chance of triggering those features and bonus games which may just be very high paying ones! However, one thing you are going to have to quickly get used to as a slot player will be having to wait, and often some long periods of times, until such a feature or bonus game is triggered and awarded to you! There are some types of gaming machines, namely fruit machines, that have been designed in such a way that you are going to trigger a huge number of base game bonus features and bonus games during any session you play on those types of slots. Fruit machines are found in some countries such as the UK, Spain and France however you will often find you can play them online or at mobile casino sites and they tend to be very low stake slots. However, casino styled slots are what most players enjoy playing the most, for they tend to offer some much higher valued payouts than fruit machines. 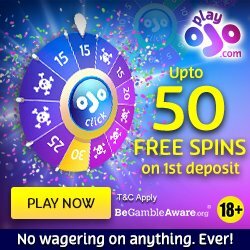 As such if you are about to set forth and start playing casino styled slots in any playing environment, then always keep in mind that you may have to play off hundreds or in some extreme cases thousands of base game spins before you will be awarded with a main bonus game any such slots have on offer! With that in mind players should first take a look at the pay table of any slot game they wish to play to see how the bonus games and/or bonus features are triggered and awarded to players. If you are required to have to line up on an activated pay line a set of for example bonus symbols before you will then get to play off a bonus game feature round, you will have more chances of triggering them when you activate every single pay line. However, some video slots in particular will award bonus games via a set of spun into view scatter symbols. When playing those types of slot machines it doesn’t matter who many pay lines you have in play you have just as much chance of being awarded with a bonus game when playing a small number of pay lines per spin as a maximum pay line player does! The average number of base game spins required to be played off before a bonus game will be awarded to you can and will vary from slot to slot. Most slot machines however will award such bonus games on average every 150 base game spins. Therefore one way of playing such slot is to divide your available bankroll up in such a way that you can get at least 150 base game spins from your bankroll, that way you will always have the reasonable chance of being awarded with what may turn out to be a high paying bonus game.